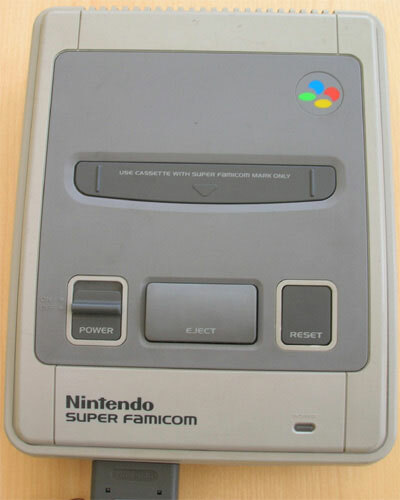 The finest Nintendo console to date with some incredible feats of programming and imagination, so much so that the N64 went out to replicate its wonders. Plenty of import only titles to enjoy as similar to the Saturn, the SFC flourished in its native climate. These are well loved machines, but a great way to get into bargain base import gaming, especially if you can live without the box in your loft. Second hand. Please note this console is not boxed nor has a manual or any joypads. (Please look in the Hardware section require one...) It is the Japanese pack which doesn't include any power lead nor audio visual lead, therefore we have included a third party AV Cable. May require a step down transformer (sold separately) depending on country of use. We use our test machine with a Japanese power pack and a step down to avoid frazzling it with the wrong polarity. 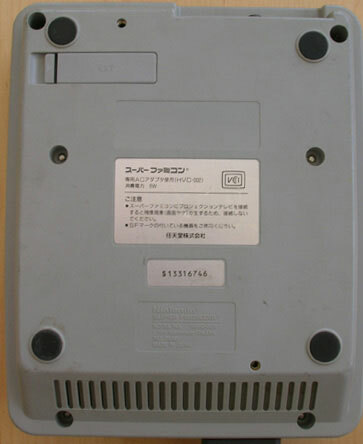 (Please search the site for: Japanese AC Adaptor (New)). Compatible with NTSC capable televisions only. Serial Number S18093445. Console is sun tanned on the base with some marking scratching.